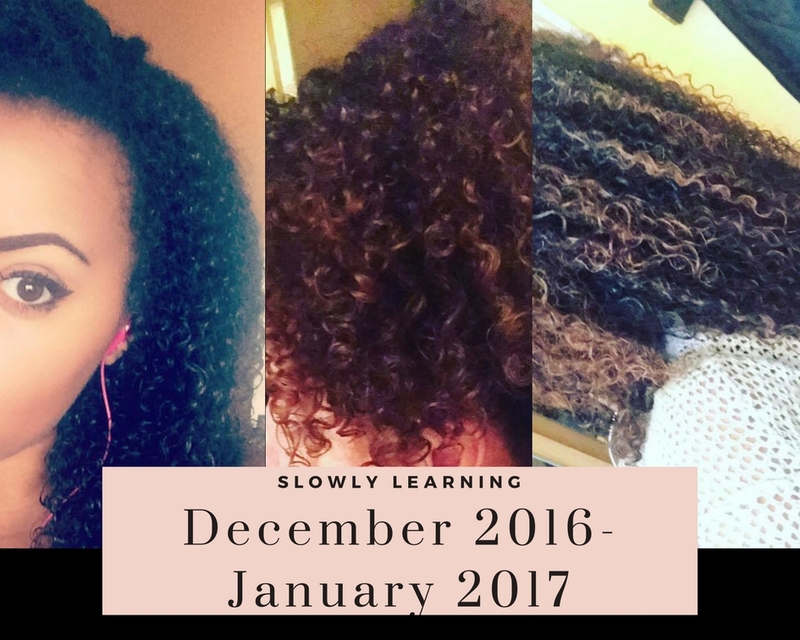 So it has been a whole year since i started this healthy hair journey, and what a year it has been! I have learnt so much about my hair and i am happy to share all of this information with you. 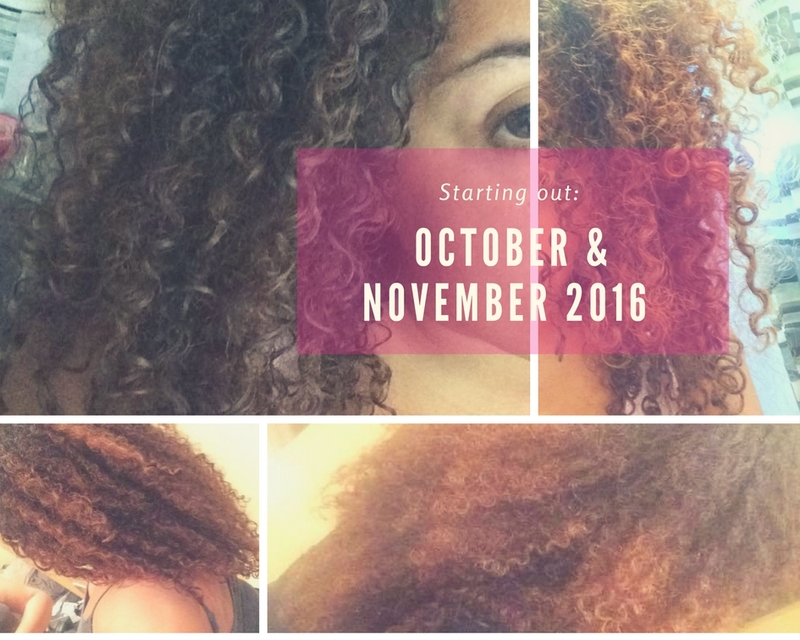 So where was i at the last time i did a hair journey blog post? My First hair journey post i spoke about the difficulties i faced with my hair growing up and how i had learnt to embrace my hair. So what has happened since then? It was only the start of this year that my hair started to take over my life, and in a good way. 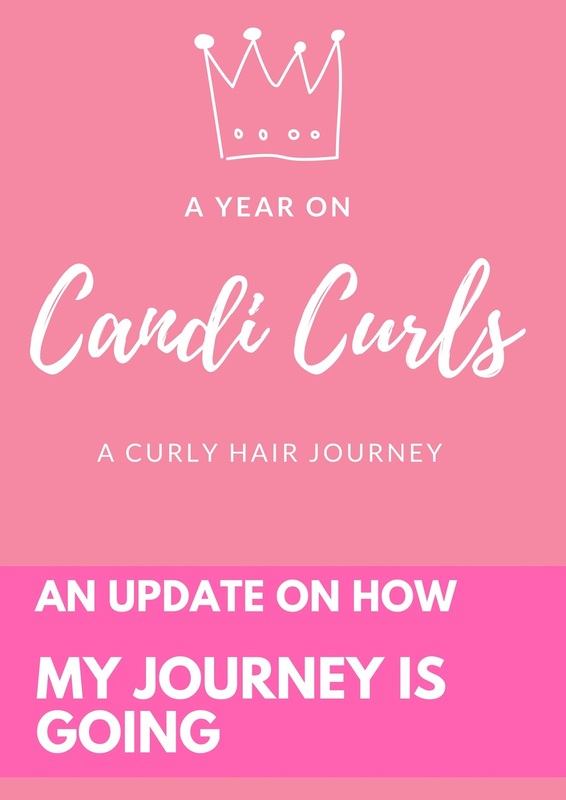 My instagram name changed from Princess Candi to Candi Curls and my posts became hair related. 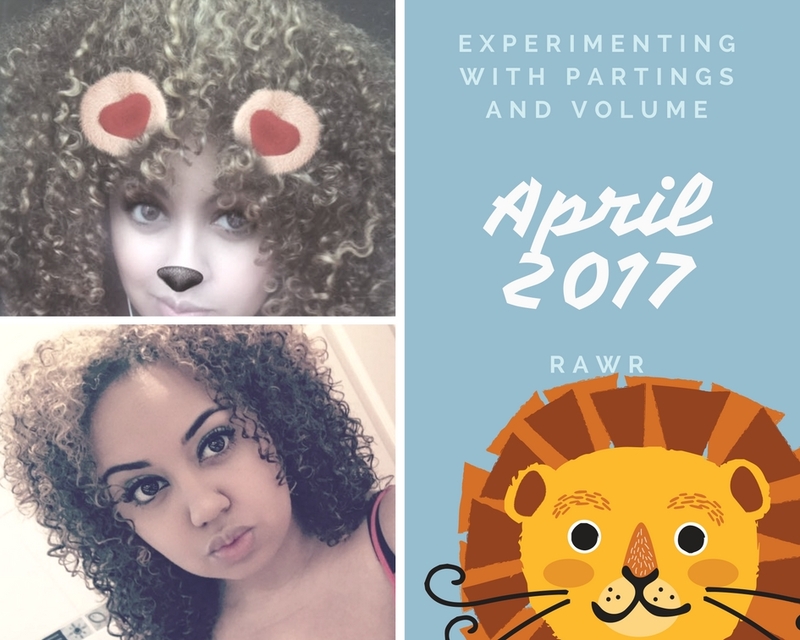 I started this curly hair blog and researching hair secrets to try and get the most out of my hair. Lets look at some pictures of my hair across this journey and i will share with you what was going on at that point. October-November 2016 - getting started. Although i made the decision to take better care of my hair before this (around September), i would say this this was the start of my hair journey. I finally decided to ditch the tight buns, and no longer wanted to straighten my hair. I had it straight for my graduation in July, but that was the last time. As you can see my hair had a lot of frizz. I still did not have a clue about styling my hair and was experimenting with products. At this point i was using Garnier Ultimate blends shampoo and conditioner, along with the restorer balm. I would say that for someone at the start of their hair journey, these really helped alot. My hair was left softer than before and the restorer balm was amazing after shampooing to stop my hair drying out so bad. 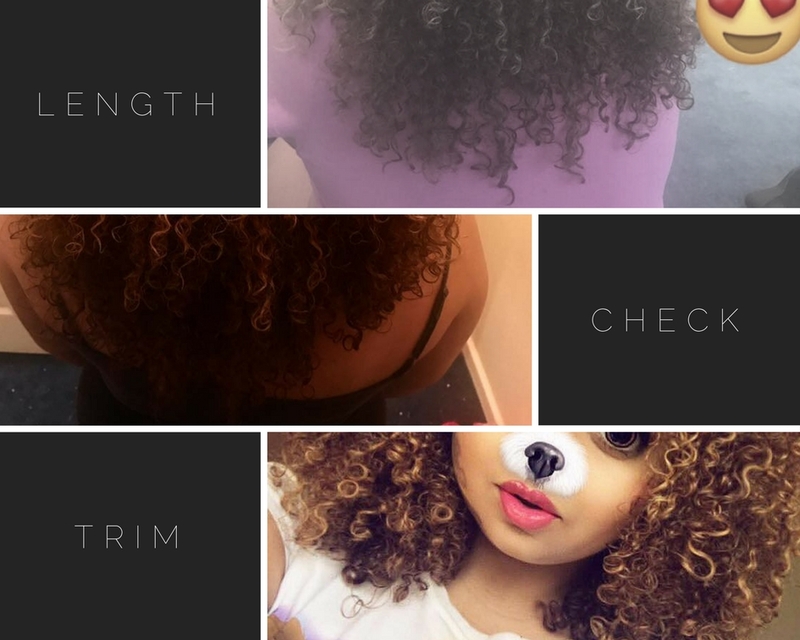 At this point in my journey i was asking alot of questions to curly girls online, and began following alot more for inspiration. 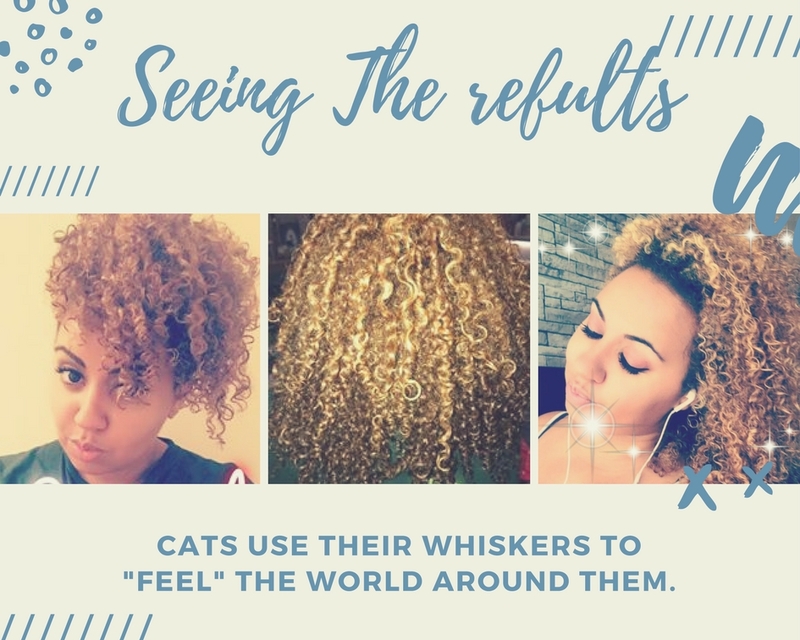 The curl community on instagram are amazing, and the love and advice they shared with me helped me with the confidence to continue this journey. In the past i washed my hair once a month maybe, and it was so unmanageable that my fiance would have to help me to comb it out properly, or i would never get all the knots out. From this point, i made a decision to change that. December 2016- January 2017 - slowly learning. As you can see from these pictures, i was already making a lot of progress with my hair. The frizz level was a lot more under control and i had learnt to add something very important into my routine: Deep conditioning! I had never deep conditioned before, and had no idea what it was until December. I brought my first hair mask by Shea Moisture and had started to use hair products aimed at my hair type. For example Cantu Shea Butter. I noticed a huge difference in my hair with these. My curls had actual definition to them, and they weren't drying out as quickly as before. Styling my hair daily, i switched to wearing a scrunchie around my hair instead of a tight bobble, and trying to only wrap this around my hair once. I was sticking to my vow of not scraping my hair up! It was around this point that i had noticed the thinning of hair around my temples. It is something (if you see my alopecia post), that had been mentioned on past salon visits, but it was only now that i was paying more attention to my hair, i noticed how bad it really was. As much as it was getting my down, i tried to focus on the positives. I was finally able to wear my hair down all the time and not hate it. I was making good progress. Washing wise, i had switched to Shea Moisture Shampoo, but sticking with my Garnier conditioner. I was now washing my hair once a week and co-washing mid week. Another new trick i had learnt from online curlies. Co-washing my hair kept it moisturised and soft in between wash days. For hair as damaged as mine was, this was exactly what i needed to strengthen it. I was deep conditioning twice a week and had my hair trimmed (and left curly for once) in November. I had been umming and ahhing about changing the colour of my hair for so long. I have always wanted blonde hair, but was always convinced against it. When i mentioned to my mum that i was going to do it, she was 100% against it. "Your hair is so healthy now you are going to ruin it" she told me. Everyone agreed. I went in to see my salon as i was getting it cut anyway and had a look at some colours. I showed the girls a colour that i wanted to go and we found one in their book. I was going to go for just highlights, but the girls told me if Ive wanted it for so long, then i should just go for it. We opted to dye my hair ash blonde, and get some lighter blonde highlights through it. I was nervous going into the salon. I had my hair coloured before by a hairdresser from home, but i had never had bleach on my hair. The salon explained that they were mixing something called Olaplex in with the hair dye and would apply this in the shampooing process as well. I had no idea what this was, but now i am so glad they did this. Olaplex protects your hair from bleach damage by restoring the broken bonds. My hair was not left damaged in anyway by the bleaching process. Even when it was 100% dry it still was not frizzy or damaged. I was in love with the colour! I am so happy i took the plunge and did it, and so happy that my salon took the measures they did. It was also around this time, that i started to use satin scarfs. Any natural haired person will know my struggle. HOW DO YOU STOP THEM FALLING OFF! I woke up every night with it off, or half off. It was a nightmare. But i still tried my best. I had also started to become a product junkie at this point and had stumbled across naturalistic products who stock everything i could possibly need! My biggest shock came this month, when ORS contacted me to ask for my address and sent me a box full of hair goodies out of the blue. It was filled with such amazing products which helped my hair so much! If you haven't tried anything by this brand i would say try them out. This brand gave me the first gel to agree with my hair with Curls Unleashed. By march and April i was LOVING being a curly girl. My instagram following was growing quickly, and my posts started to become more and more hair related. I had 473 followers and was getting so many compliments, likes and questions about my hair. Another must have product and tool were discovered in this month. Castor Oil and an Afro comb. I spent so many years trying to flatten my hair, that it makes me laugh how big it is now. I did my research watching girls use Afro combs on their hair, and i just had to try it. I was so in love with the results i must have took about 100 selfies looking like a lion. My hair was huge and it was still defined and soft. It is a little hard learning to do this the right way at first, if your hair is not 100% dry at the roots, do not attempt this! You will look cray! Jamaican Black Castor oil in my routine, meant that my edges were growing back, my hair was thicker and fuller, and my scalp was happy. If you haven't tried Castor oil before i would highly recommend this one. It contains peppermint which also helps to stimulate hair growth. Massage a little into your scalp and feel the tingles. I also made the change to my parting. For years going to salons they would ask me what side i want my parting on, and i never knew. Ive had it on the left, Ive had it on the right, i just didn't know. One day i just decided to play around with it, and found that my fave way to have it was actually right down the middle. I feel that my hair looks fuller this way, and bigger. I look at April and May as my experimenting months. So many new things i hadn't tried before, so many tests and trial and errors. As you can see from the above photo, i tried my first flexi-rod set. I had no idea what i was doing and had to watch a few videos first, but i was happy with the results. I brought two packs of rods from the poundstore, and after washing my hair and combing it, i sectioned it off and rolled it up for bed. In the morning when i removed them i had looser curls. They weren't perfect, but they were cute and i was impressed for a first time. I also brought a hairdryer with a diffuser! Diffusing curly hair, again is far from easy to learn at first but the result is great. In winter especially it is important to have your hair fully dry before going out, so that you don't get a cold and also to stop your hair from getting that damp smell. I think this was the moment i decided i wanted a fringe cut into my hair. When i took my pineapple out in the mornings, it fell in the shape in the photo above and i was in love with it. 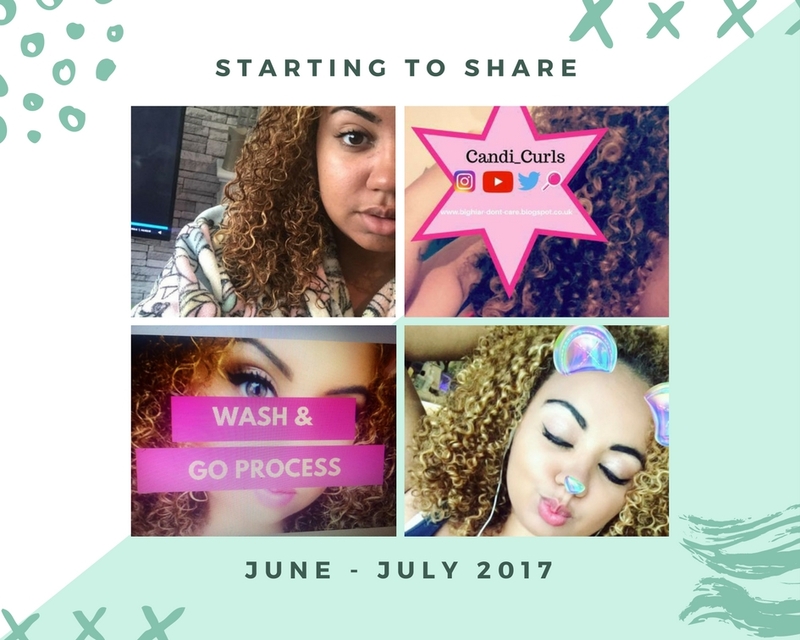 I started my hair blog so that i could document my journey and made my youtube channel. I wanted to share with you everything i have learnt in the hope that i could inspire and help someone the way that other people have done with me. I was watching closely now what other people were using in their hair, and brands like BounceCurl, Cantu, Shea Moisture and Curl keeper, were making their way into my shelves. My relationship with my hair in the past was simple. Once it got to my shoulders i would go and cut it off. I had it trimmed in February last, and it was now well past my usual cut off point. It was at the longest that i had ever kept my hair curly and was happy with it. I went back to the salon and got my roots touched up. Again they used Olaplex and my hair had minimal damage. I had more cut off than i had wanted to during my trim, but i knew it needed to come off. I am still not getting into the routine of cutting my ends often enough. My long hair was still easy to manage as i now had a set routine. I still follow this process just with different products. More brands were coming into my shelf, LottaBody, Righteous Roots, RawKyn. I was now a full product junkie! Deep conditioning was done religiously, and i was now recording this for youtube. Looking back at these videos you can tell how new to it i still was, but wanted to share anyway. By this point i was 100% immersed in the curly hair community. 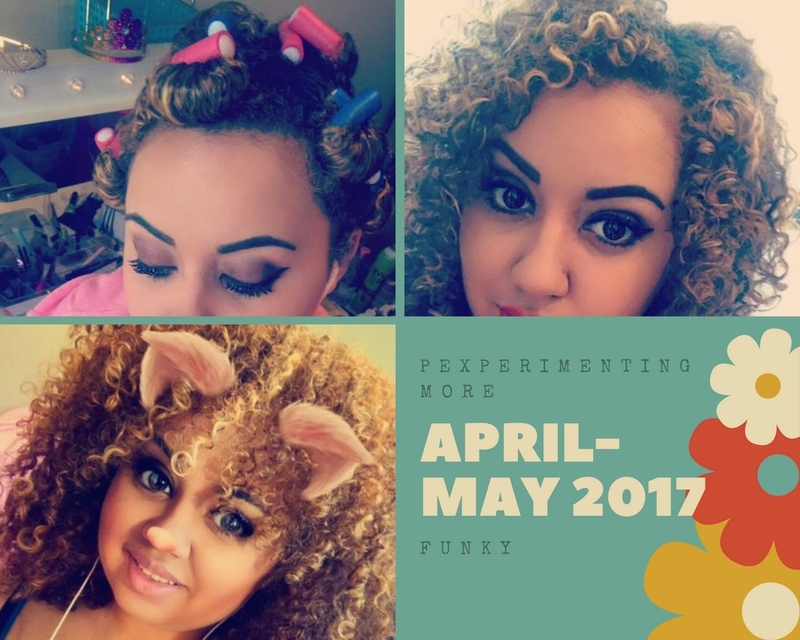 If i wasnt reading blogs and books by people such as UKCurlyGirl, then i was paying close attention to posts on Instagram by people like Hif3licia and Vmuse91. I was finally for the first time ever, happy with my hair 100%. 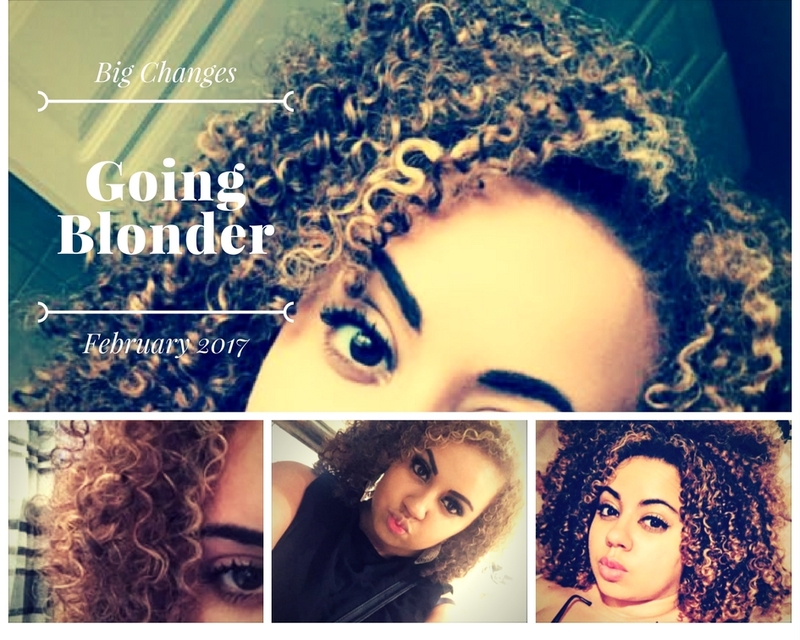 Now i not only was updating my blog and youtube often, but i had started a twitter etc and joined in with curly and natural groups on google+. Testing products now became a hobby for me and i was obsessed. There are so many that work, so many that don't, and i still have a huge list. If you look in my blog archive you can see i started to review these all for you. Going up to over 600 followers on instagram, i was now answering so many questions on hair. I do not claim to be an expert, but i love answering questions and helping you out so please keep them coming. On the topic of experimenting i played around and created my own hair mask using natural store brought ingredients such as Avocado, Coconut Oil, Banana and Apple cider vinegar. Olaplex treatments became monthly and my hairstyle became an even looser bobble and lower down. I was not doing anything to pull on these edges. 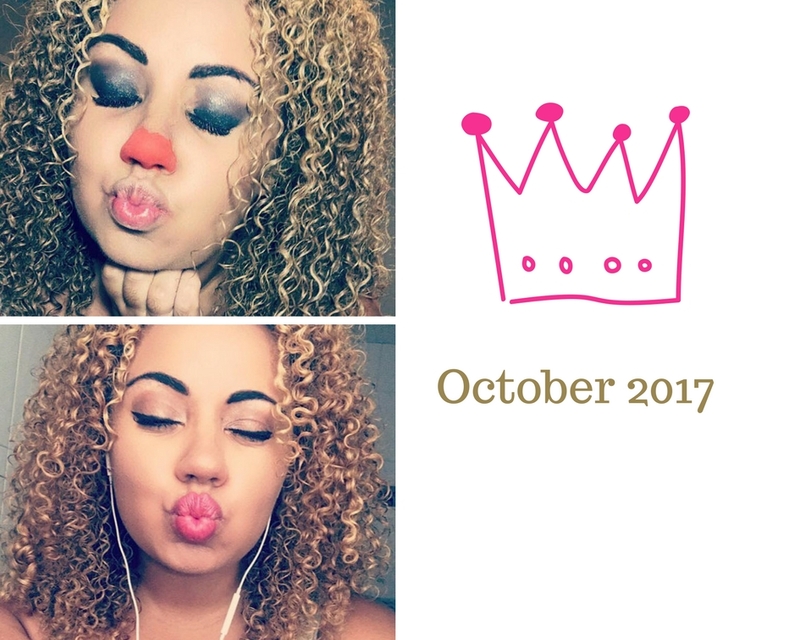 This was the month that i signed up to Treasuretress box, as you can see from previous reviews and posts, i am soo happy i did. Yes it has made me more of a product junkie, but getting 4 products for the price i usually pay for 2 means that i can try out new things every month. I found Osocurly, who do satin pillowcases also. I mean, no more scarf falling off in the night guys! In august i went to a different salon. Not that there was anything wrong with the salon i usually go to, but i had been doing alot of research on curly cuts and devacuts. I couldn't find any salons in Manchester who offered this service, only in London and they cost a fortune especially when you factor in the cost of travelling down to London from here. As before i put the question to the curl community on instagram and was recommended a salon called the hepburn project and a stylist called Vicky. I looked online and saw that she does a dry curly cut and the process sounded exactly like a devacut. I booked an appointment and went down to see her. From the start we had a consultation and went through what i was looking for. I showed her the images from when i had a fringe from my pineapple and she got to work. She didn't pull or wet my curls to cut them, just shaped it perfectly and then followed this up with a wash, treatment and then tidy over, before diffusing. I was so happy with the result and i can not wait to book in again. I also opted to get my other salon snippers, and get more blonde in my hair. This time i was not as happy. My hair was drier than before and i was so scared it was damaged. I think that this time because i just had highlights, that Olaplex was not used. I sent messages to my curl gurus and asked for advice on what to do. I washed my hair and applied the olaplex number 3 treatment to my hair, and followed this up with RawKyn mask before washing my hair with shampoo and conditioner. It took me a few weeks but i managed to get it back to where it should be. Now sleeping on a satin pillowcase i began to wear my hair down for bed instead of a pineapple which i feel changes the shape too much. I still think that i have a long way to go, but i am so happy with my hair in these last 2 months. I am the happiest with my hair than i have ever been and now getting close to 1000 followers on instagram. I am so happy so many of you are choosing to follow my blog and honoured to be included in some of your posts. My plan moving forward is to get another curly cut, and to get more blonde in my hair. I hope to be able to do this with no damage. I can not believe how far i have come, and i can not wait to see what the future holds for my hair. If someone showed me an October 2017 picture of my hair in October 2016, i would never have believed it was possible. If i can do it so can you. Understand your hair, is it brittle? Try a protein pack. Is it drying out after washing? Switch to sulfate free shampoo. There are so many little changes you can make to your routine, and sometimes it is just one of these little changes that makes all the difference.